When I started the Inspired Bride, my mission was to make a wedding blog that focused on design. It originally took a very modern skew, simply because that is my style preference and because that was the type of wedding I was planning (and therefore the type of items I was finding and being drawn to). As it grows, I’ve come to embrace style from every type of wedding more regularly and more consciously, and today’s feature is a result of that. Okay, enough with the formality. I think these cake stands from Sunday Hatch are adorable. They’ve got this simple rustic charm to them that draws me in. I’d love to see some smaller ones used as centerpieces with a wildly styled, colorful floral design on top of it, perhaps paired with some vintage metal table numbers. Of course, you could always use them for cake stands or pedestals for a dessert buffet, too! I absolutely love this! 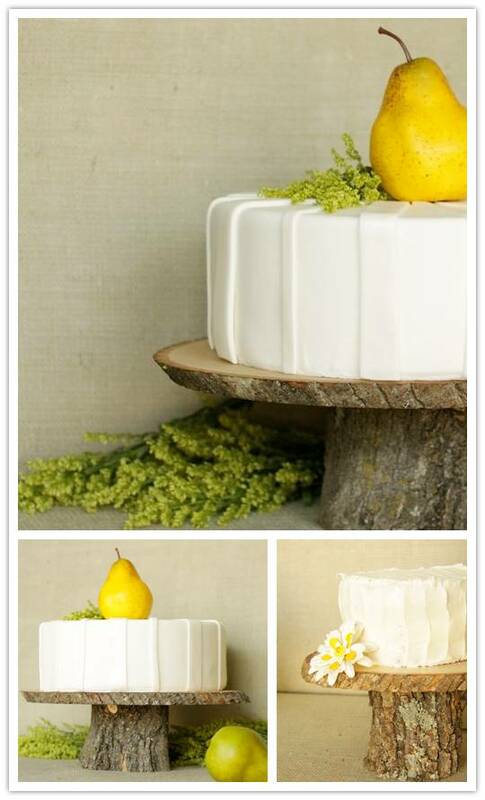 The pop of yellow and the amazing cake stand! Gorgeous!